Helping those injured on land or at sea . . . Waters Law has experienced personal injury attorneys who for over twenty five years have been fighting for folks who have been injured on land or at sea. Their clients and clients’ families need help when because of someone else’s carelessness they suffer personal injury or, even worse, the death of a loved one. Whether the injury was on land in a motor vehicle accident, railroad accident or because of medical negligence, or on water on a commercial fishing vessel, cargo vessel, tug, dredge, oil rig, cruise ship or pleasure boat, Waters Law has experienced attorneys ready and willing to help deal with the mountains of problems that arise as a result. Waters Law also helps labor unions and their members. For years, Deborah C. Waters has successfully fought hard for labor unions to ensure their members’ jobs are secure, working conditions are safe, and wages and benefits reflect what working men and women deserve. In addition to representing various unions in the construction and transportation trades, Waters Law is proud to say it represents the largest U. S. maritime union in the Ports of Virginia and works tirelessly to support the men and women who make sure our Ports operate competitively and efficiently to increase Virginia’s global market share and create jobs for union members for years to come.. 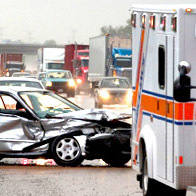 If you have been hurt in an automobile accident, drunk driving accident or by medical malpractice, you need help from a caring and experienced personal injury lawyer as soon as possible. The lawyers and staff at Waters Law provide one-on-one personal service for their injured clients. They are people who truly care about their clients and their clients’ families and have a proven track record of success. Contact our Firm today for a no-charge appointment to meet one of our lawyers to discuss how we can help you. Many of your questions can be answered in the first meeting. We can give you guidance right away and set your mind at ease so you can focus on getting well instead of worrying about your rights. Deborah Waters successfully represented thousands of folks injured in automobile accidents, motorcycle accidents and trucking accidents. If you have been injured in a collision and it was not your fault, Virginia law entitles you to compensation for your medical bills, wage loss and other damages such as pain, suffering and emotional distress. Unfortunately, injured people increasingly find it harder and harder to negotiate with highly trained insurance adjusters and lawyers to obtain just compensation for their personal injuries. We can help you. We are not only experienced and successful at investigating and negotiating claims with insurance company lawyers and taking automobile and other motor vehicle claims to court, but also truly care about helping injured clients with their day to day practical problems caused by the injury. Call us today at 757-446-1434 to talk to a caring, experienced personal injury attorney. Those of us at Waters Law want to help you. 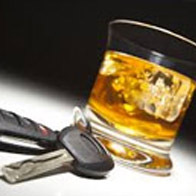 If you have been injured because of a drunk driver, you need the specialized help of an attorney who is familiar with the specific rules that apply to drunk driving cases. Waters Law has experienced lawyers who can help you investigate and preserve sensitive evidence necessary to prove drunk driving to put you in the best position to receive all compensation to which you may be entitled under the law. In addition to the kinds of compensation available in regular motor vehicle accidents, under certain circumstances Virginia law drunk driver laws also may provide for punitive damages. Call us today to talk to a caring, experienced personal injury attorney who is familiar with drunk driving laws and remedies. We can help you. If you are the victim of a serious medical mistake, you need help from an attorney who knows and understands the law of medical malpractice claims. 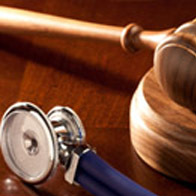 Waters Law handles cases where medical mistakes cause serious, permanent injury. Deborah Waters has successfully negotiated excellent settlements for many victims of medical negligence and obtained good compensation for life changing catastrophic injuries they received form doctors whose treatment fell below the standard expected of them. Attorneys for doctors and hospitals do whatever it takes to keep from adequately compensating medical malpractice victims. Ms. Waters is not afraid to take her clients’ cases to trial by jury and has done so with great results. If you or someone close to you suffers because of a serious medical mistake, you must act quickly or critical medical evidence will be lost. Call us immediately for a free consultation to discuss your medical situation so we can help you right away. 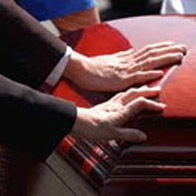 If you have suffered the tragedy of the loss of a loved one, you need the help of an attorney who understands.